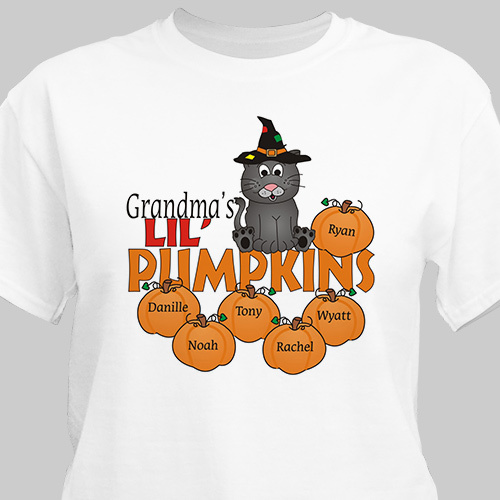 Show off your little pumpkin patch with our Personalized Pumpkin Family T-shirt. Personalized Halloween Shirts are suitable as a simple costume or as a perfect way to display your love for all your Lil Pumpkins. I like the T-shirt. Have gotten compliments on it. Additional Details Personalized Halloween Gifts from GiftsForYouNow.com are fun and creative gifts the entire family will enjoy on this spooky holiday. Outfit the entire family in Personalized Halloween T-shirts & Sweatshirts so they can enjoy Halloween even more.